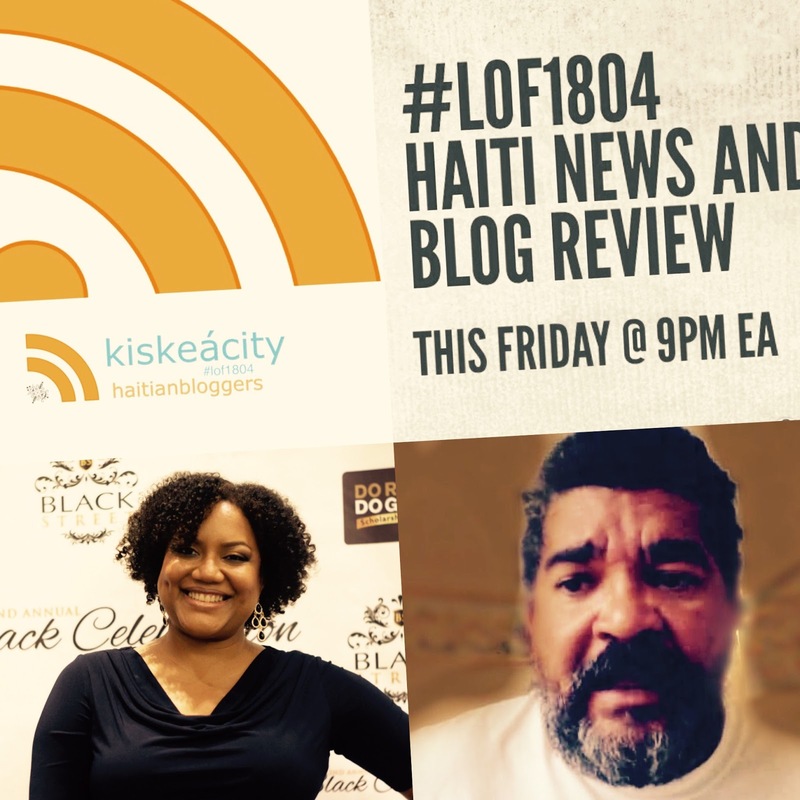 Tentative Topics: Undocumented Haitians in the US cross the border to Canada | Chinese Electricity Project in Haiti: Fake or Take? Listen live or archived right here at kiskeacity.com at the player below http://www.blogtalkradio.com/pancaribbean/2017/08/05/legacy-of-1804-haiti-news-blog-review-080417-lof1804. You can also listen to the live broadcast at 714-242-6119. We listened to an Eritye Papa Desalin radio show clip interviewing someone who has made the trip from Haiti to Brazil to the US to Canada. Then we were joined by Frantz André and Jennie-Laure Sully, frequent correspondents from Montréal, who helped us put the trajectory in context, including local authorities' decision to open up an Olympic stadium with a capacity of 60,000 to the new arrivals. They also explained the process facing the new arrivals who will likely be undergoing a hearing at some point down the line to apply for asylum/refugee status. Although Canada is being more welcoming to many of the migrants than the US has been, Frantz cautioned against being overly optimistic regarding their ultimate plight in Canada. He explained that Fatima Oriol, a Haitian woman who was on Canada's version of temporary protected status for 4 years is on the verge of being deported despite being very well integrated. Jennie and Frantz also explained that Canadian authorities turn the processing of new arrivals over to Haitian organizations but without providing adequate resources. In Frantz's words, given the current mayor of Montréal Denis Coderre's need for votes from the heavy Haitian population of North Montréal, his motivations may be "more electoral than humanitarian." In the second hour, Hugues Girard expressed doubt at whether a recent HuffPo article about China investing in Haitian infrastructure projects can be trusted. Daniella Bien-Aimé who wrote an article on the topic two years ago on her blog the Bien-Aimé Post also called to weigh in. We listened to music by Buyu Ambroise, Misty Jean and Paul Beaubrun.